Cape Cod Aeroseal is proud to offer Professional Duct Sealing Services to all of Cape Cod. The most significant benefit to the Aeroseal Duct Sealing process is improved overall comfort. The difference has to be seen to be believed! Sealing your home’s ductwork prevents contaminants and pollutants from entering the airstream. This can improve allergies, asthma and overall health. The average U.S. home has 25-40% leakage in the ducts that feed warm — or cool — air to its living spaces. For years it’s been an unsolvable problem…but no longer. Cape Cod Aeroseal offers professional duct sealing to Cape Cod homes and businesses. Aeroseal is a unique, innovative product that pressurizes a duct system before injecting atomized adhesive into the ductwork, effectively sealing holes, cracks and seams from the inside to significantly reduce overall duct leakage. 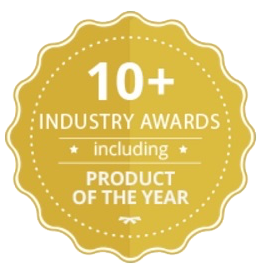 This technology has won over 10 industry awards, including “Product of the Year” at the 2016 International Air Conditioning, Heating and Refrigeration Expo. Cape Cod Aeroseal is a division of Robies Heating & Cooling — Cape Cod’s premier HVAC contractor for over 50 years. Our consultations are always without charge. Give us a call to ask if duct sealing is just what your home needs to be comfortable, healthy and energy-efficient. Leaky ductwork causes several issues. Leaky return ductwork allows contaminants and pollutants to enter the air stream from dirty crawl spaces, attics and basements. This can cause significant health concerns associated with allergies, asthma and illness. Sealing these ducts prevents dirty air from entering the air stream, thus improving the air quality and potentially the health of the homeowner. Sealing ductwork allows the furnace or fan coil to deliver more conditioned air to the living space. With more air being delivered to the living space, the furnace or fan coil will turn off sooner resulting in much shorter run times. This extends the longevity and lifespan of the equipment and reduces the amount of fuel and electricity required to heat or cool the home. Improved overall comfort is the greatest benefit from the Aeroseal duct sealing process. Leaky ductwork is synonymous with uncomfortable conditions in the home. 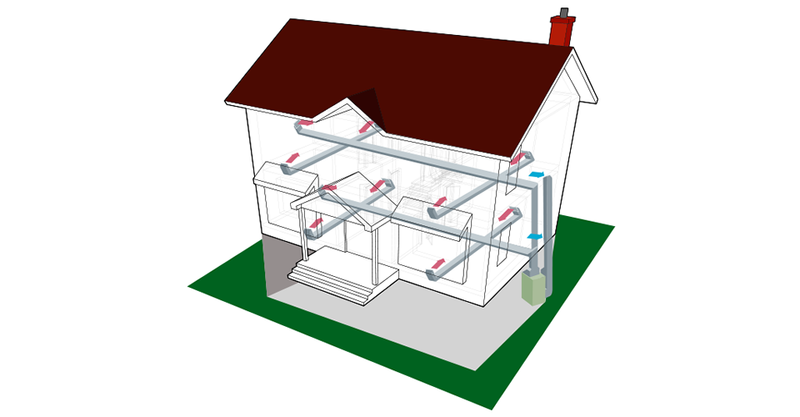 Leaky ducts prevent conditioned air from properly reaching its destination. Much of the conditioned air is lost to leakage being pushed out of the ducts into basements, attics, and crawl spaces —areas that don’t need to be conditioned. Assessments are free to any Residential or Commercial property located on Cape Cod with a forced hot air duct system. Aeroseal is endorsed and approved by the EPA and Department of Energy, and is listed by the New York Times as one of the most cost effective home energy improvements a homeowner can make. The aeroseal process ensures your home’s ducts deliver nearly 100% of the heated (or cooled) air into the rooms of your house (red arrows).